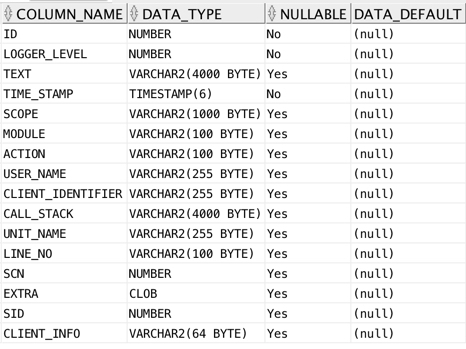 If you are writing PL/SQL, the open source tool Logger, started by Tyler Muth and now owned and maintained by Martin D’Souza is instrumental in error identification and debugging. 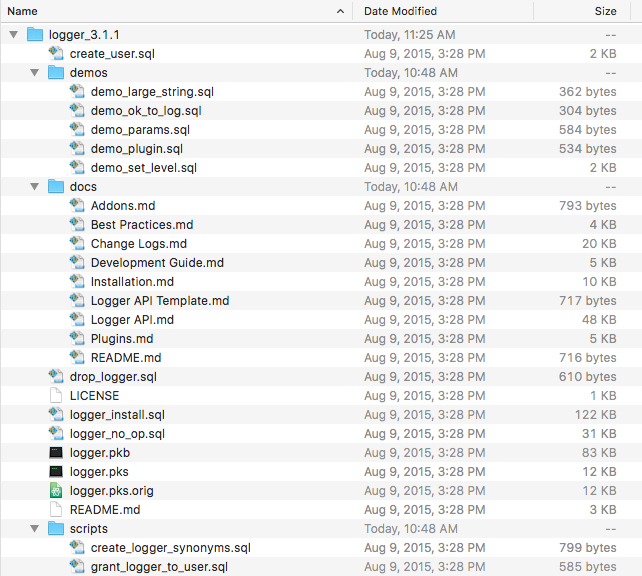 While I am sure that there are other resources that can provide the same information, this post will show you how to get Logger installed and confirm that Logger is actually working. Fortunately, the Logger schema will be built during the install process and your application owner should probably exist already. 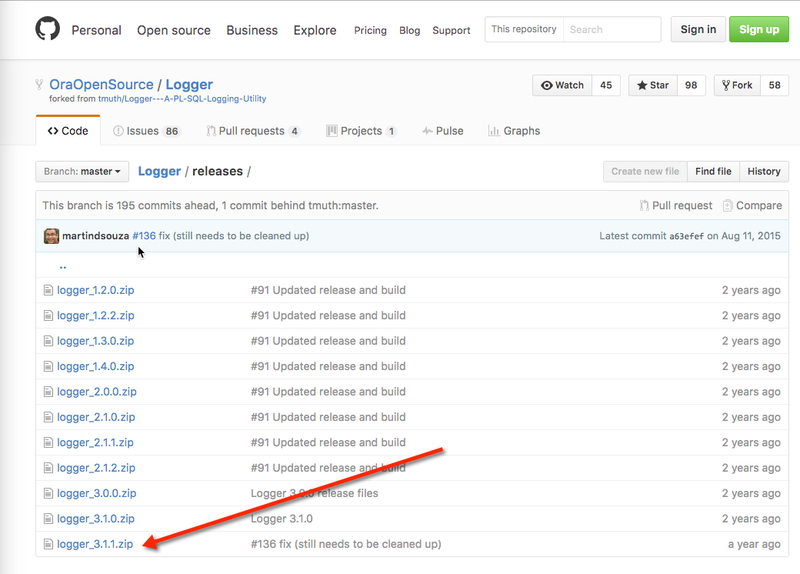 Download and unzip the latest release of Logger (3.1.1 at the time of this post) from this GitHub link. Now we can fire up SQL Developer and complete the installation. Browse to the directory where you unzipped logger and execute the create_user.sql script. For this exercise, we will create a new user, accept all tablespace defaults, and provide a password for this users. If you environment requires special tablespaces for logging, please consult with your DBA. As the script runs, SQL Developer will display the following message. If you don’t receive any errors, you are ready to move on the next step. You will need to log into the database as the user you just created in the step above before executing the logger_install.sql script. so take some time to review what is happening. There are few errors that popped up, but none appear to impact the Logger nor do they stop the script from executing. 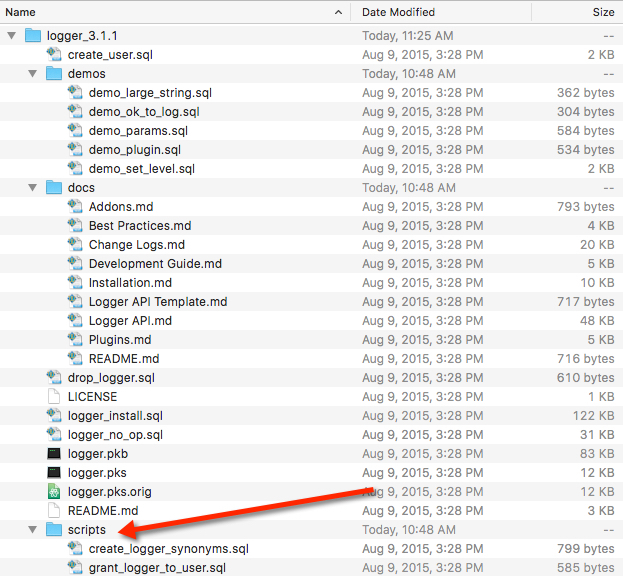 This step is where the Application Owner is granted specific privileges to the objects owned by the Logger Schema. Note, that “Application Owner” in this context is just the user that is developing the PL/SQL code. Finally, we need to run the create_logger_synonyms.sql script in the Application Owner (DBRYANT) schema. The input here is the Logger Schema (DM_LOG) owner. That’s is! Now let’s test our installation and see if we can get Logger to start capturing some information. 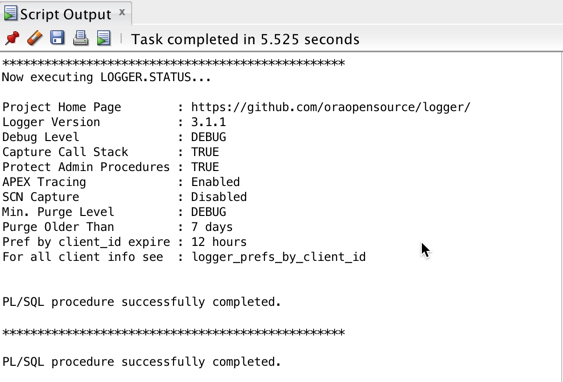 1 8 Log level set to DEBUG for client_id: <global>, include_call_stack=TRUE by Host: xxxxxxxxxxxx, IP: x.x.x.x, TERMINAL: unknown, OS_USER: me, CURRENT_USER: DM_LOG, SESSION_USER: DM_LOG 2 1 Logger version 3.1.1 installed. 2 1 Logger version 3.1.1 installed. As we can see in the output, passing the string ‘hello world’ to the logger.log procedure resulted in row inserted into the logger_logs table. Hope this get you started on the road to better instrumentation of your PL/SQL code.